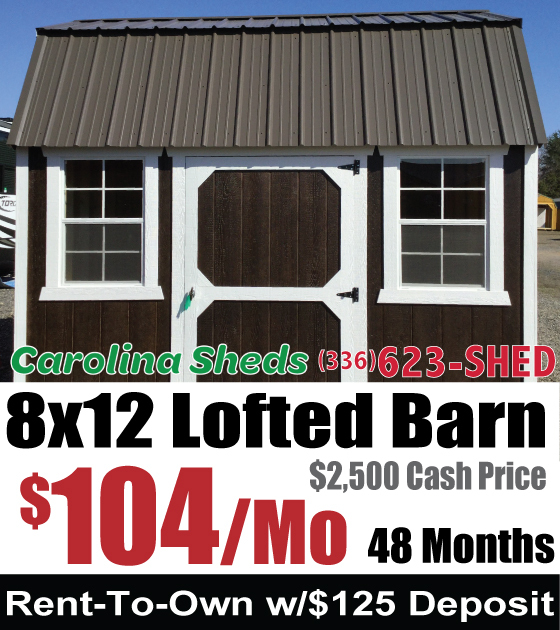 Quick Free Delivery & Setup anywhere in the Carolinas*! 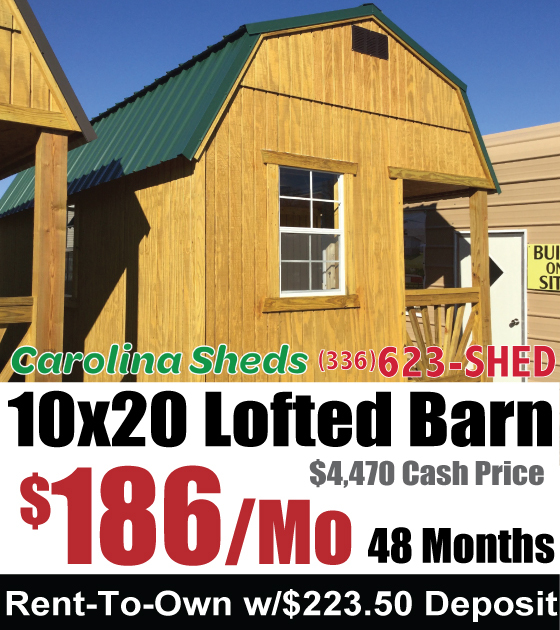 All prices, payments, and deposits are subject to change based on current pricing from suppliers. 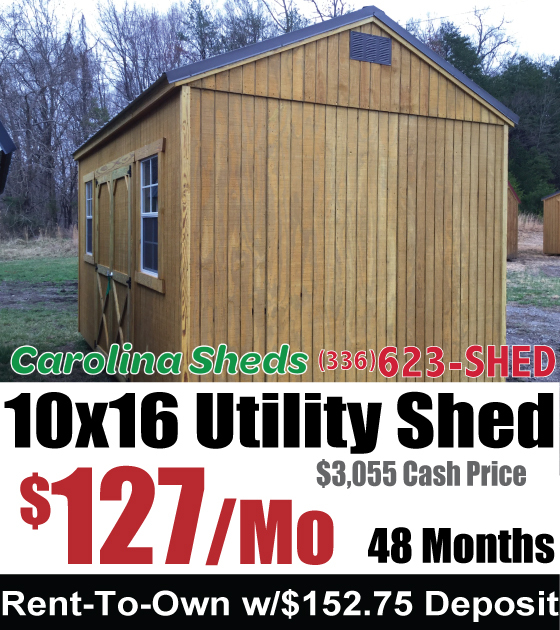 Carolina Sheds and Sheds of Eden pricing is based on their suppliers and is not responsible for typos and human errors in calculating pricing. 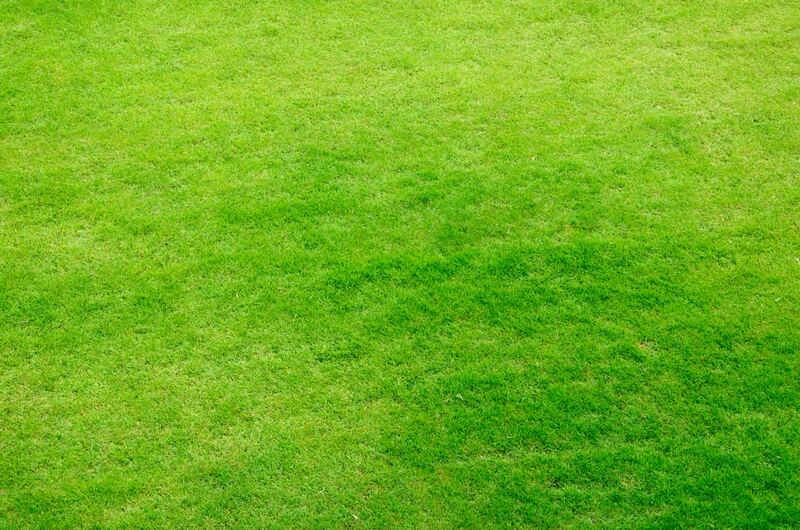 (Sorry we are human... though very rarely, mistakes do happen.) 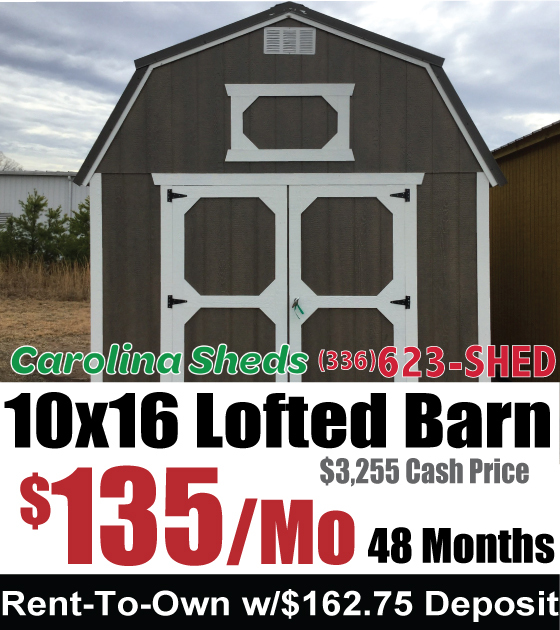 Free delivery and setup anywhere in North Carolina and South Carolina within 55 miles from an authorized Old Hickory Buildings dealer location. 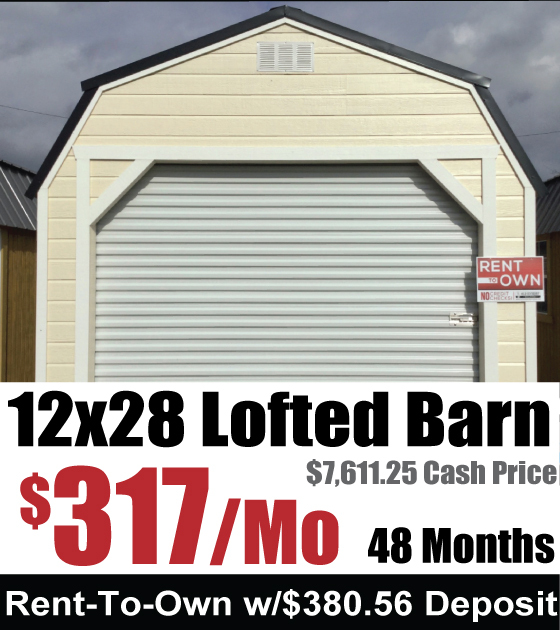 Delivery Mileage fees apply over 55 miles. 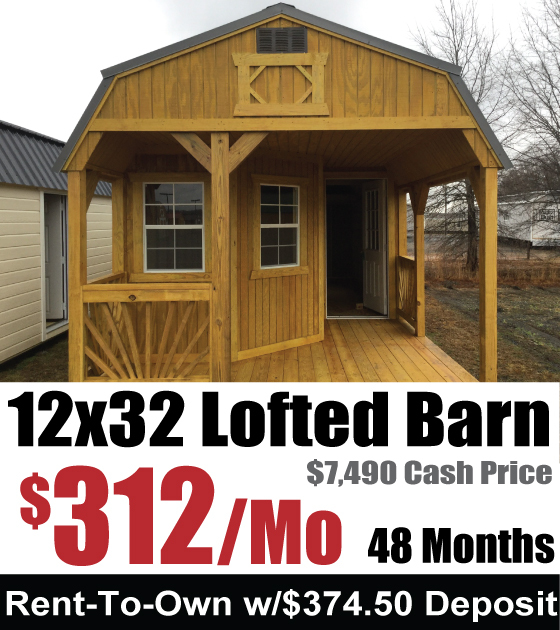 Blocks not included. 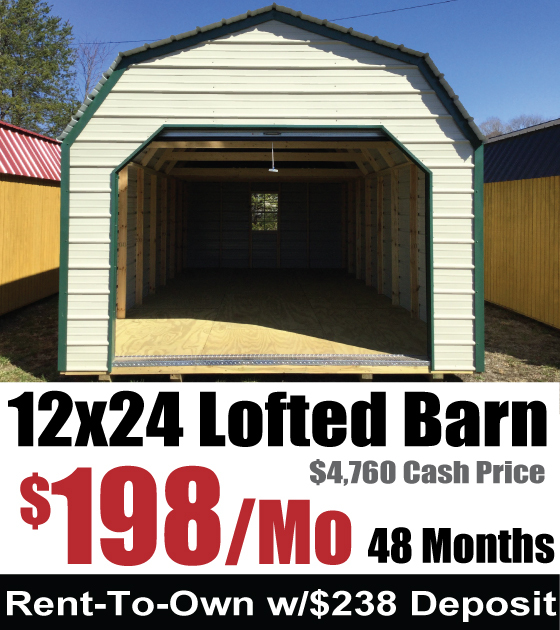 Ramps not offered at this time. 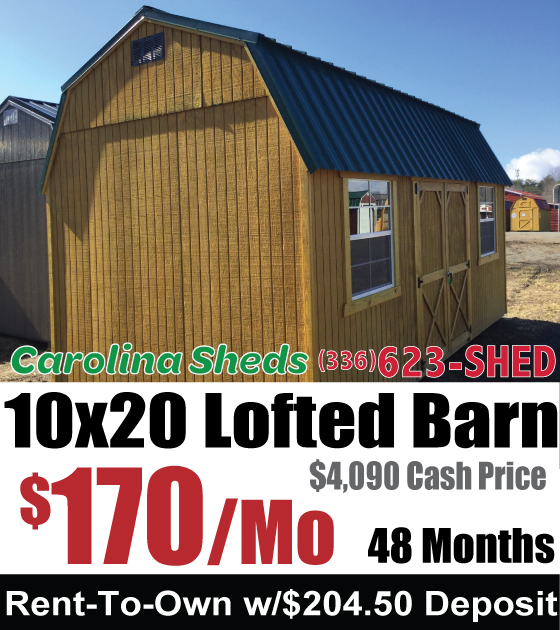 Sheds of Eden and Carolina Sheds, 920 South Van Buren Road, Eden, NC 27288. 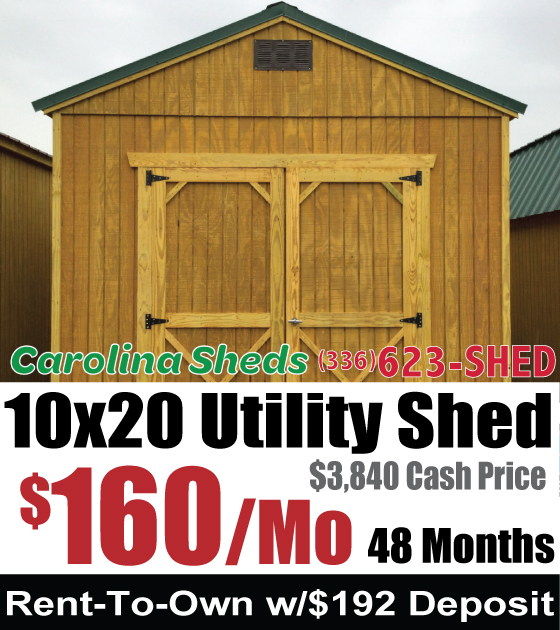 Write our corporate office at: Sheds of Eden / Carolina Sheds, PO BOX 136, Sparta, NC 28675. 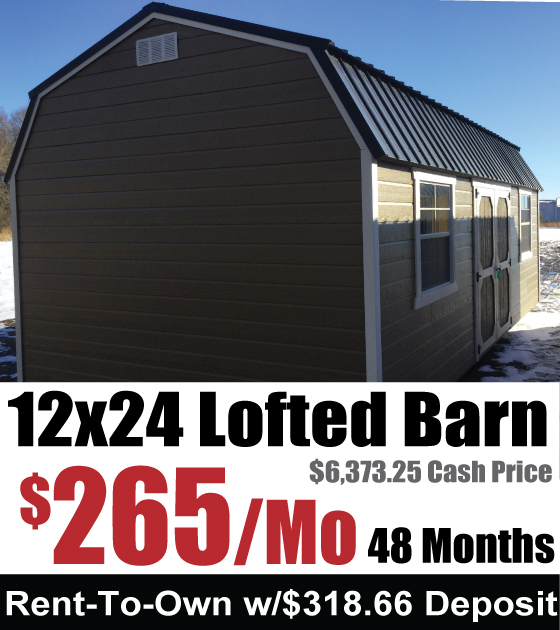 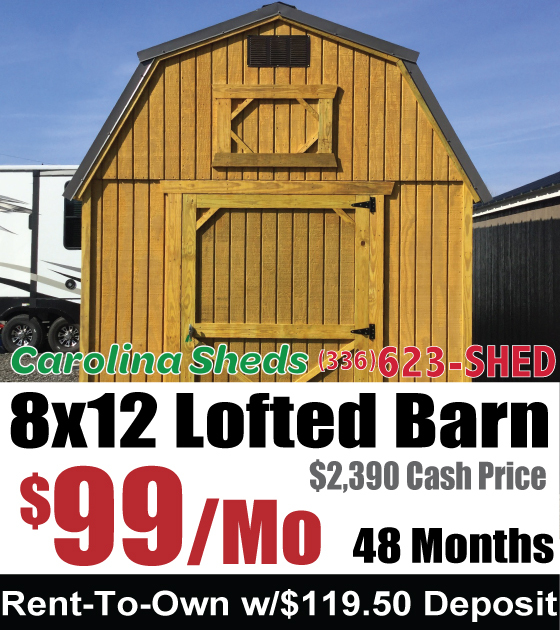 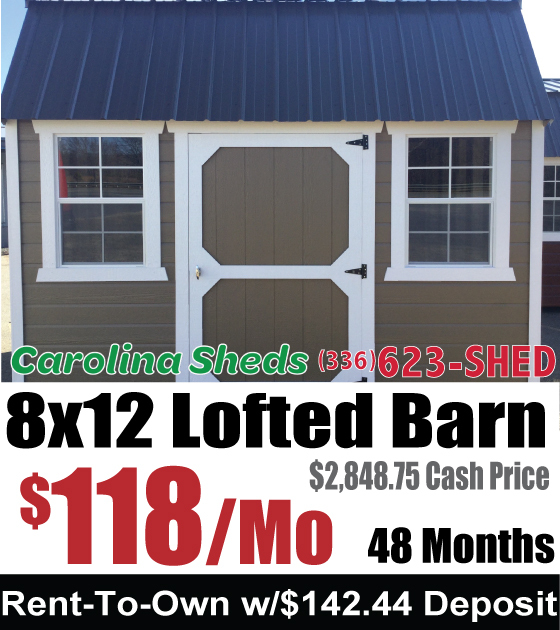 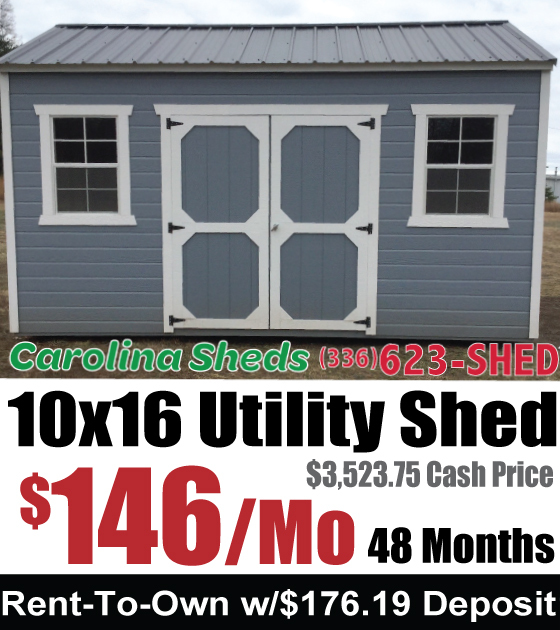 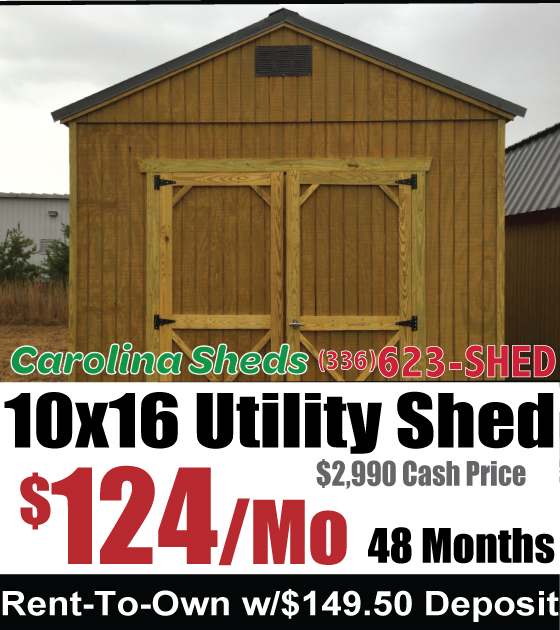 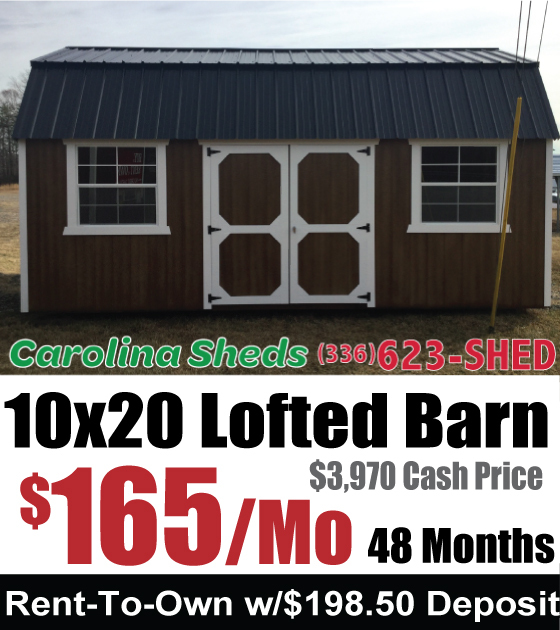 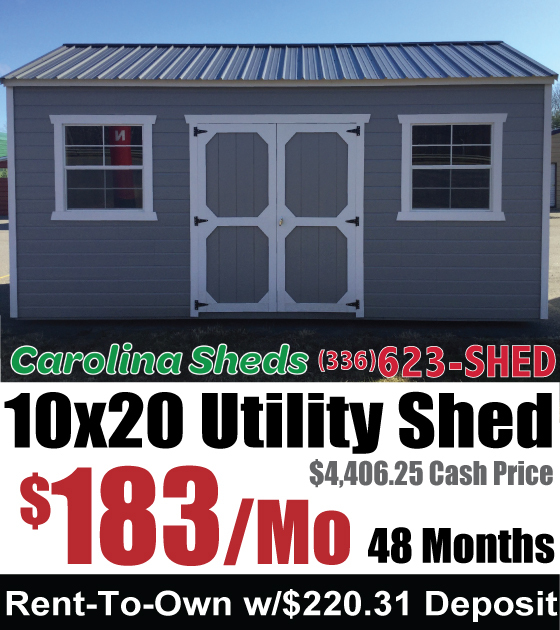 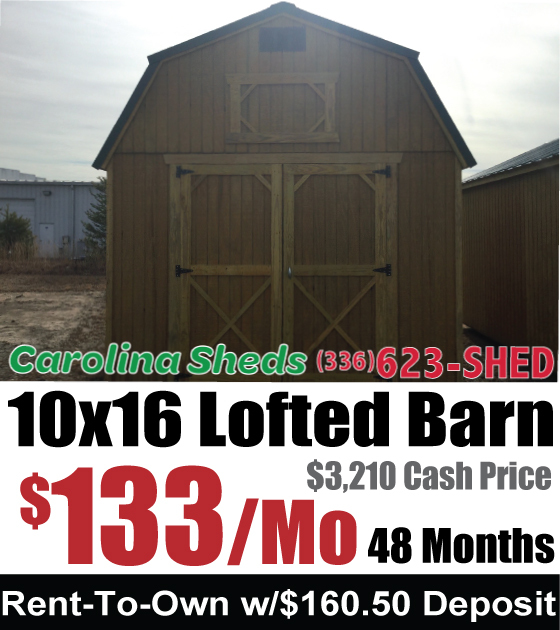 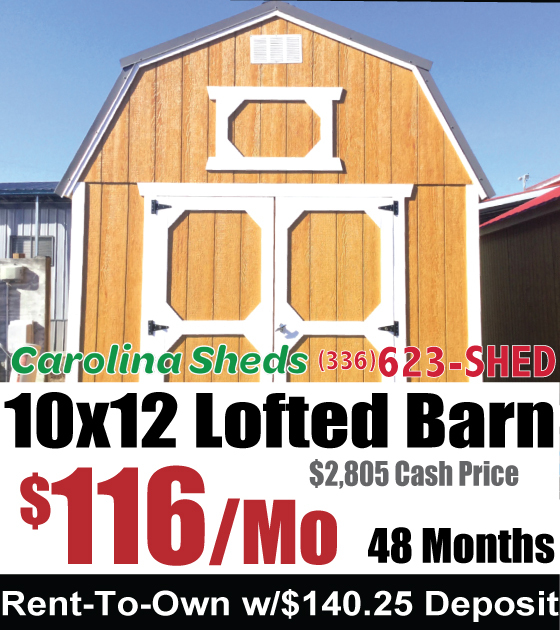 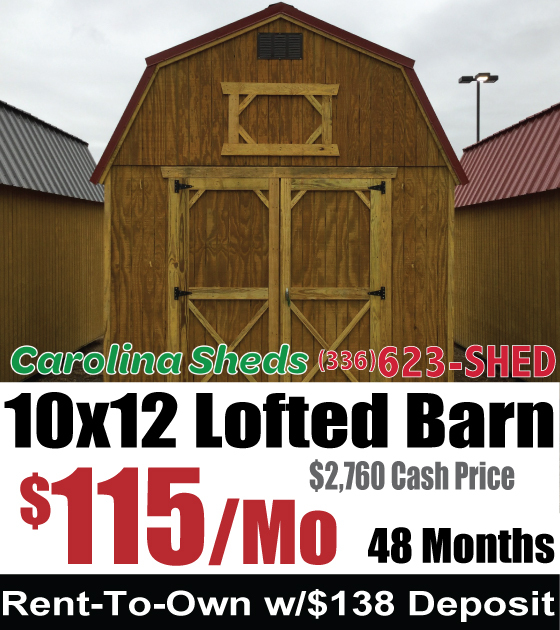 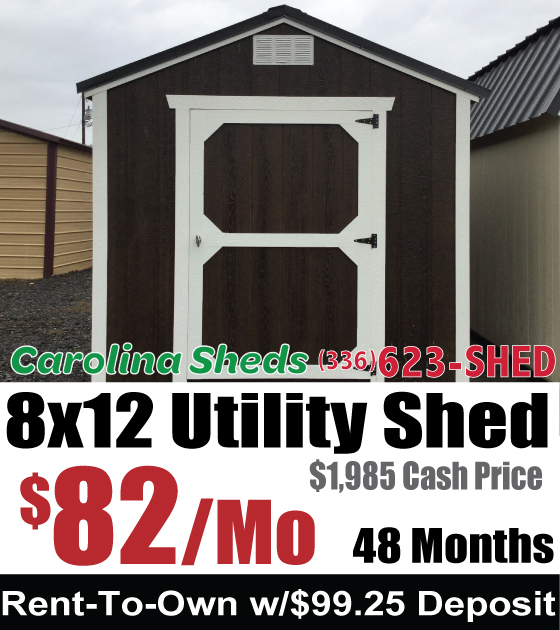 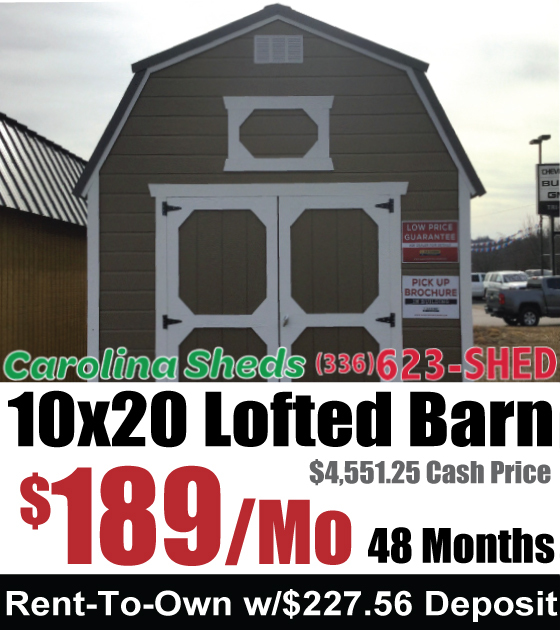 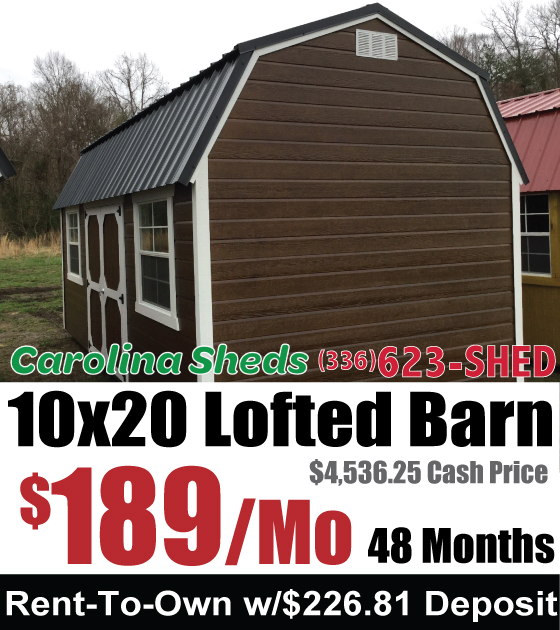 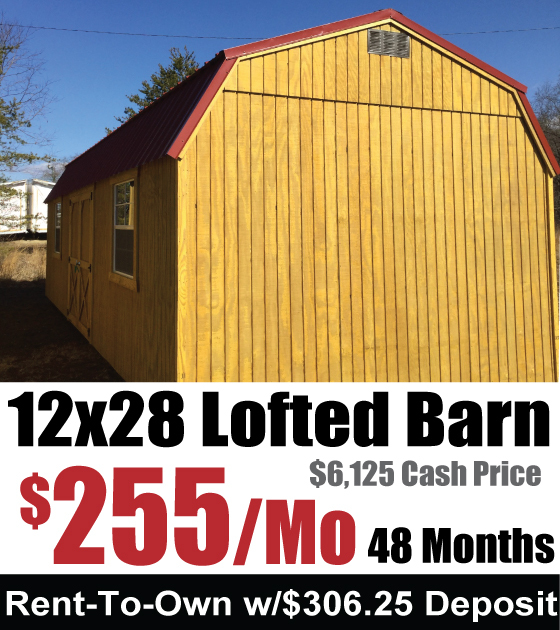 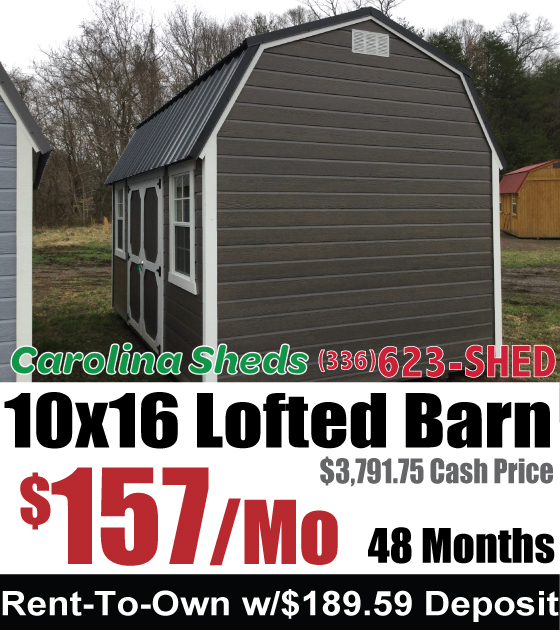 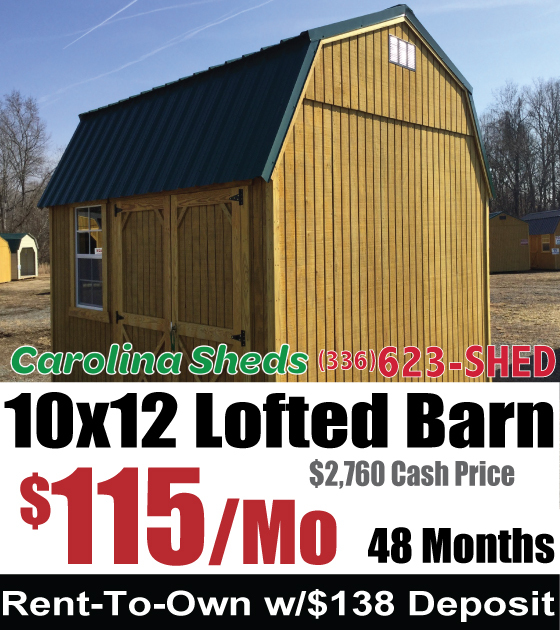 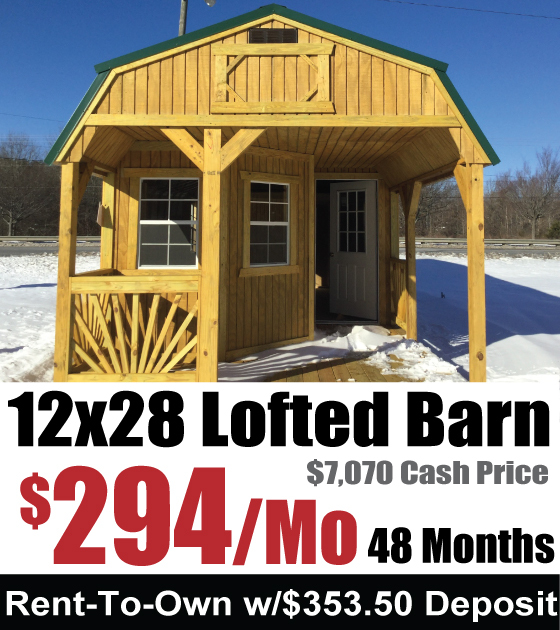 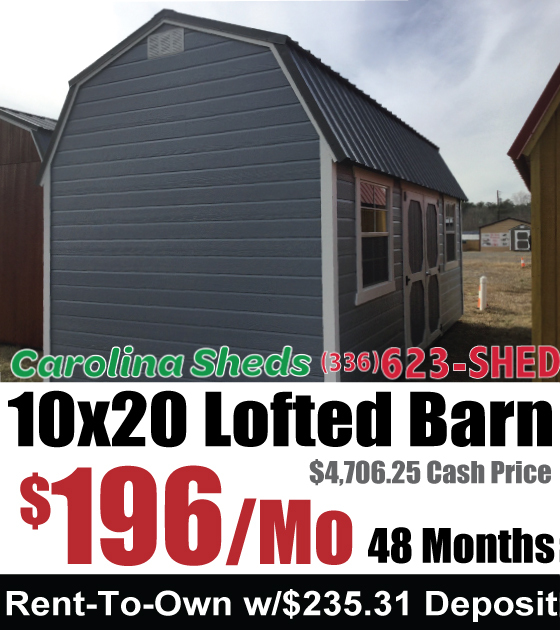 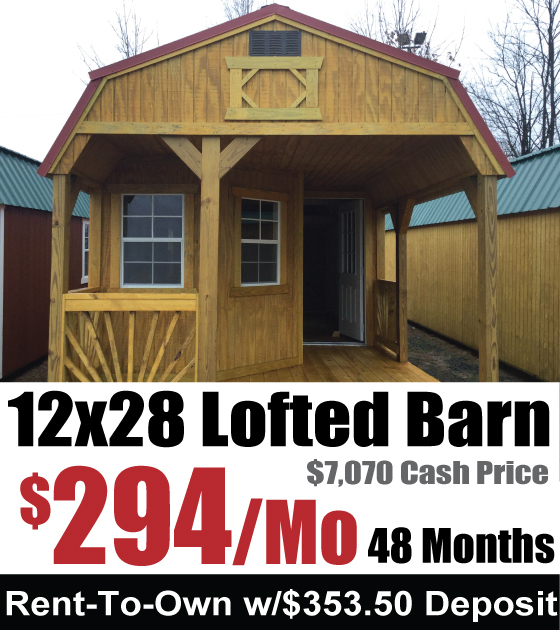 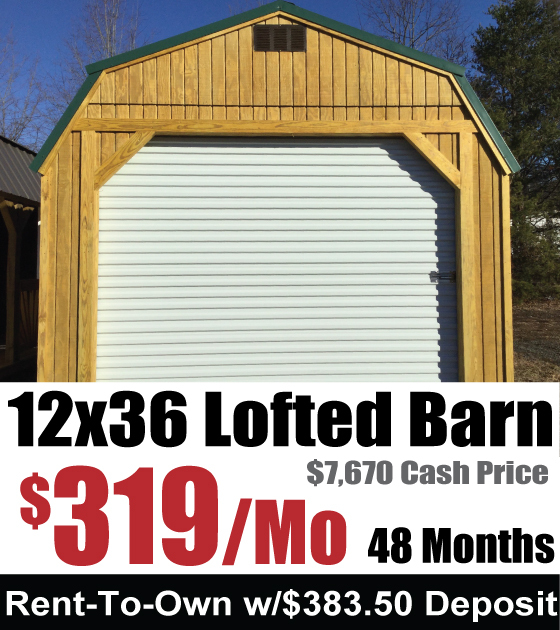 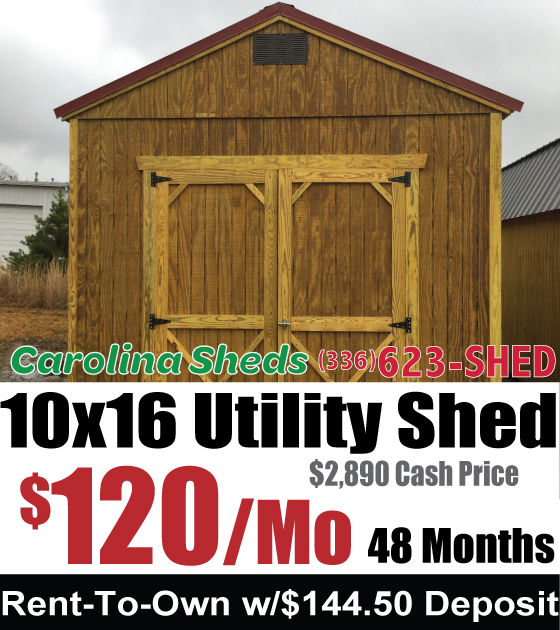 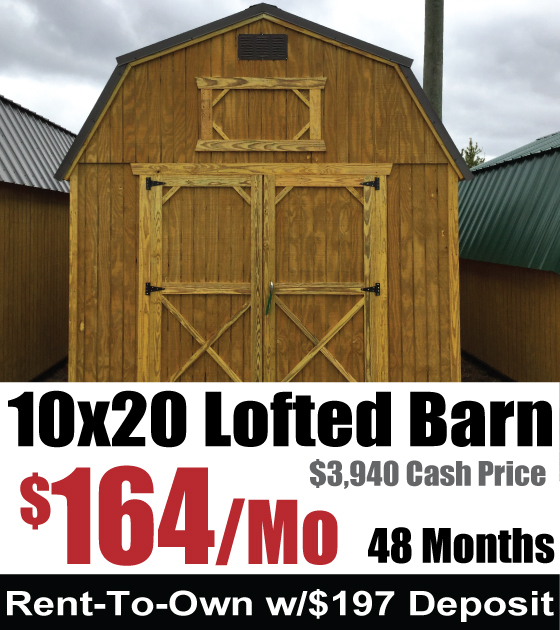 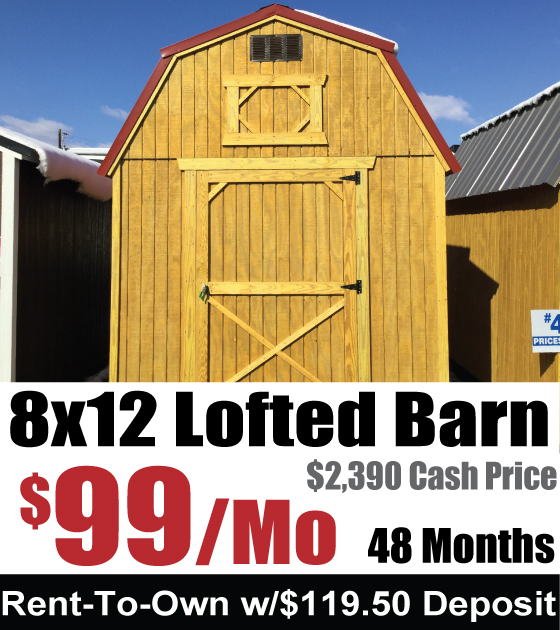 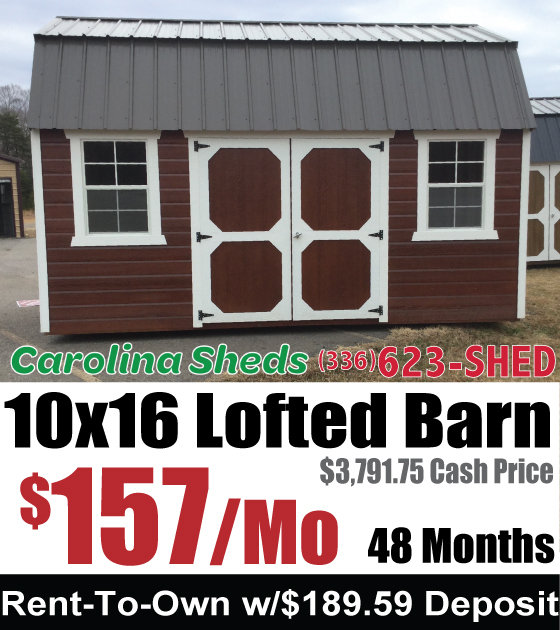 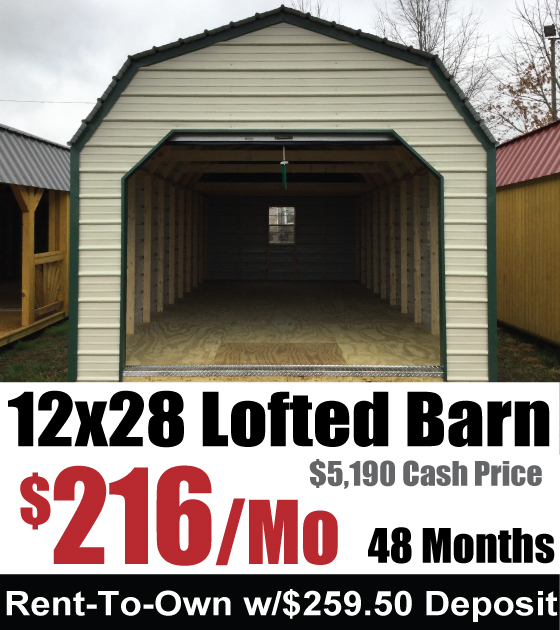 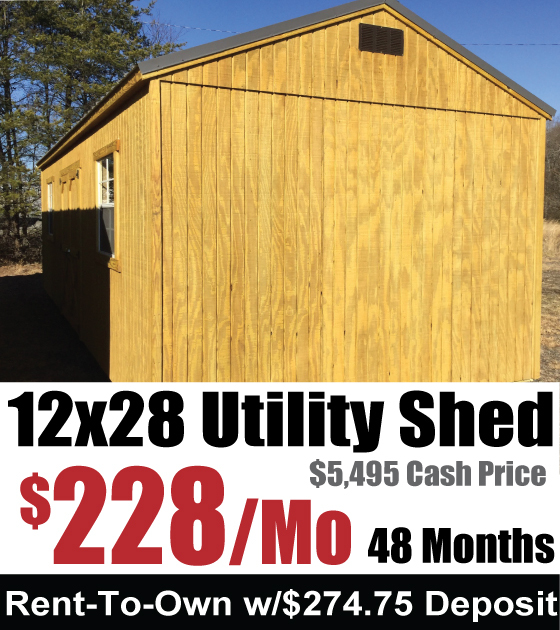 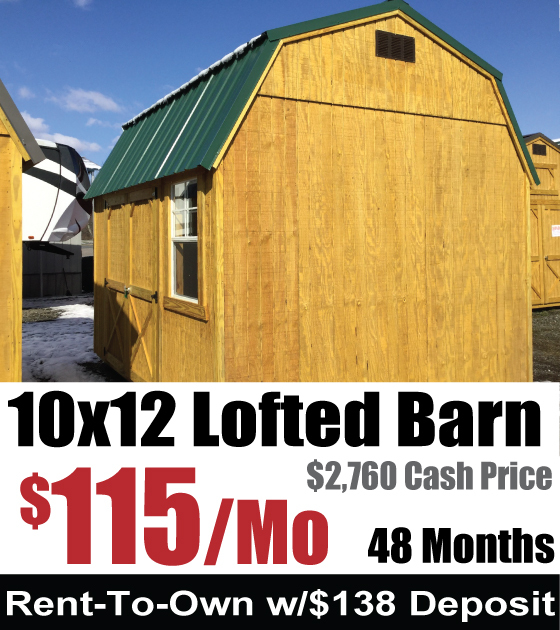 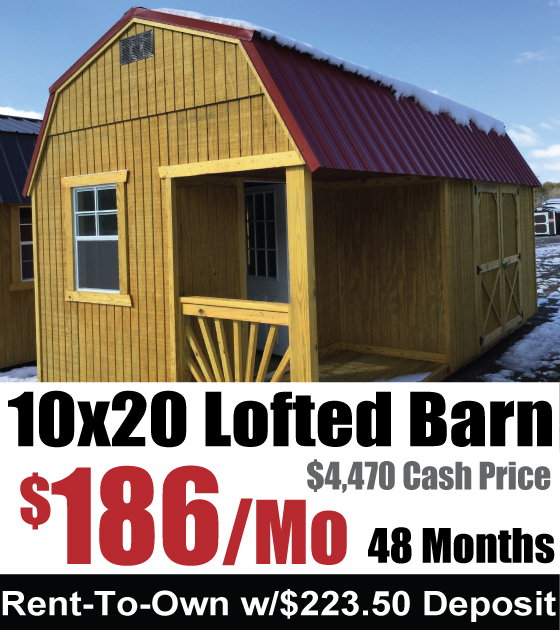 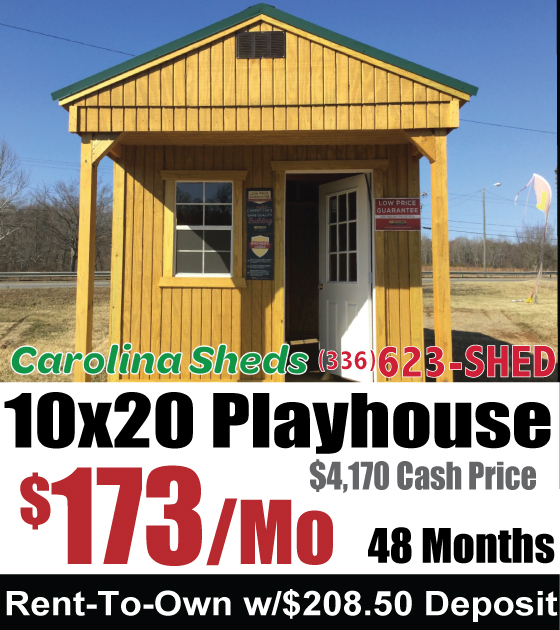 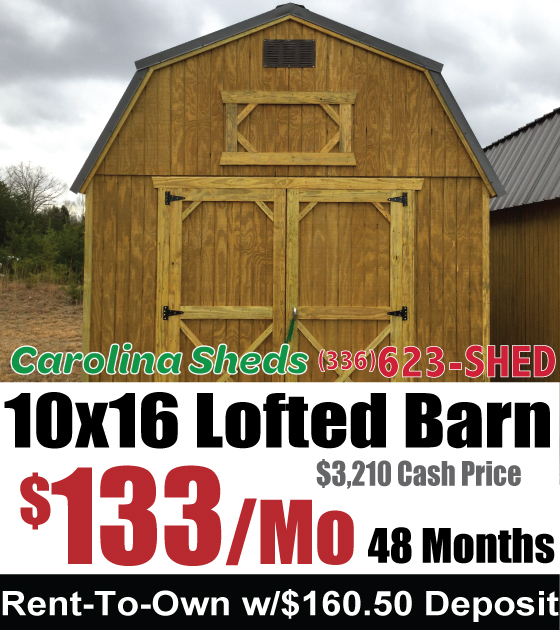 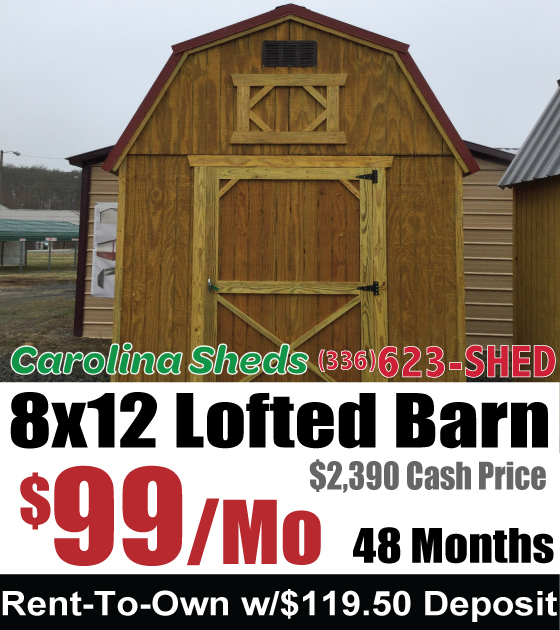 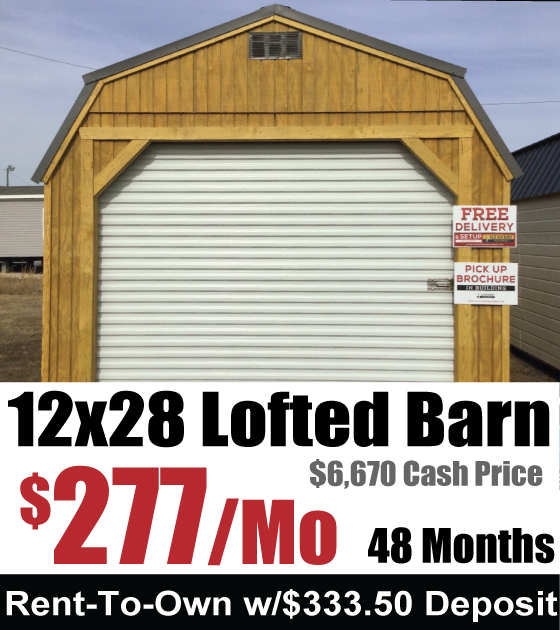 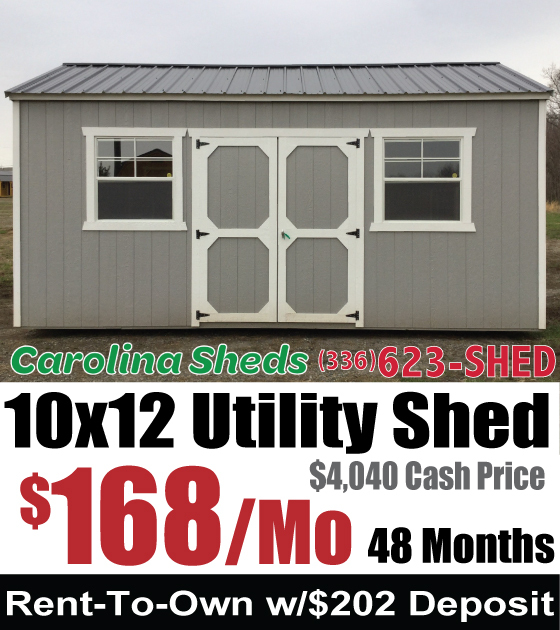 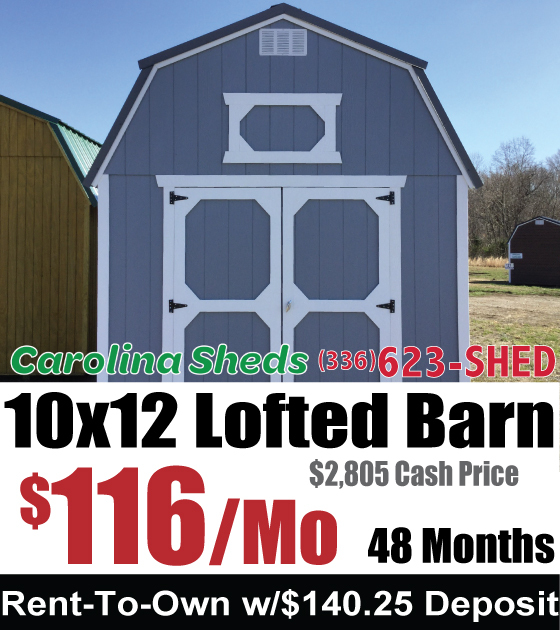 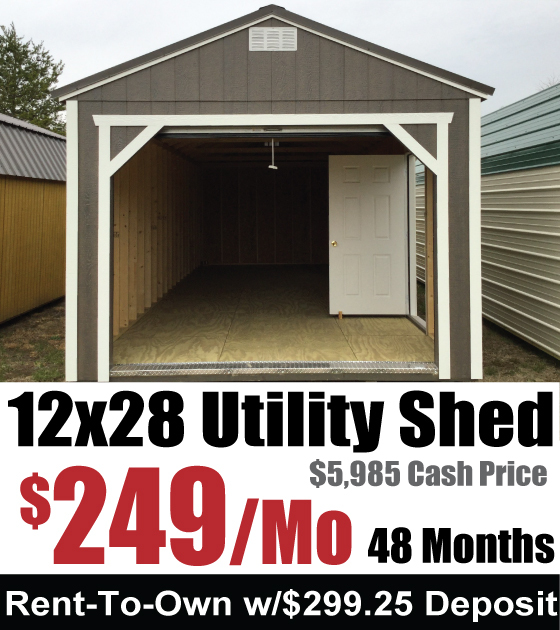 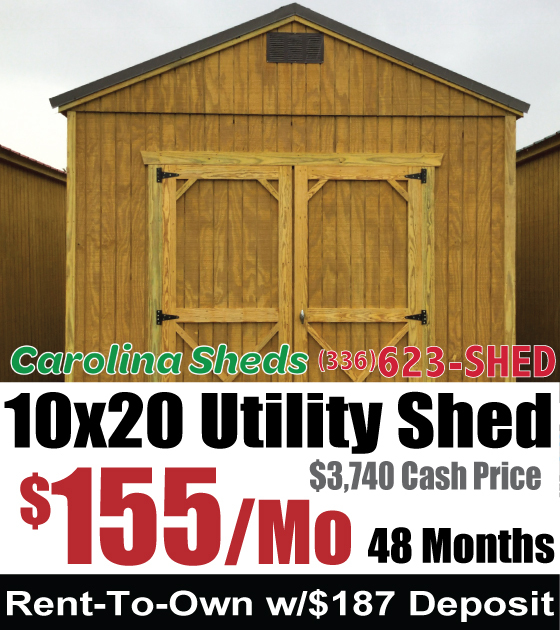 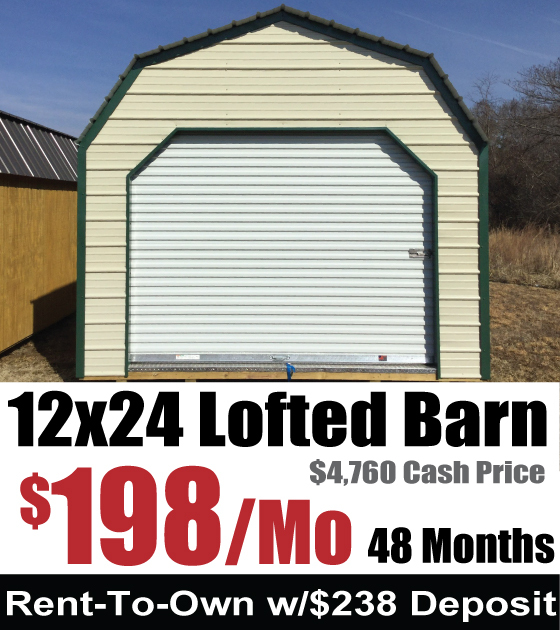 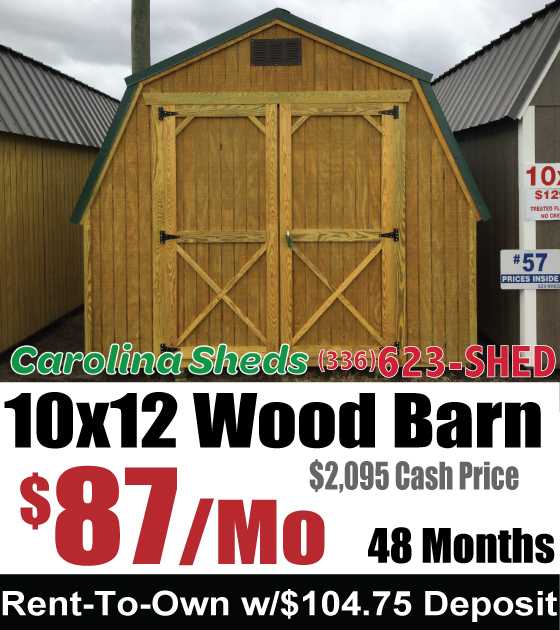 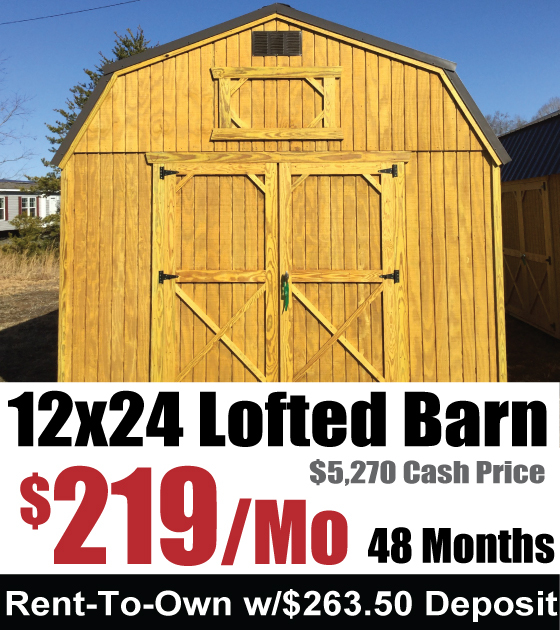 Phone: 336-623-SHED (336-623-7433) or email Eden <@> CarolinaSheds.com. 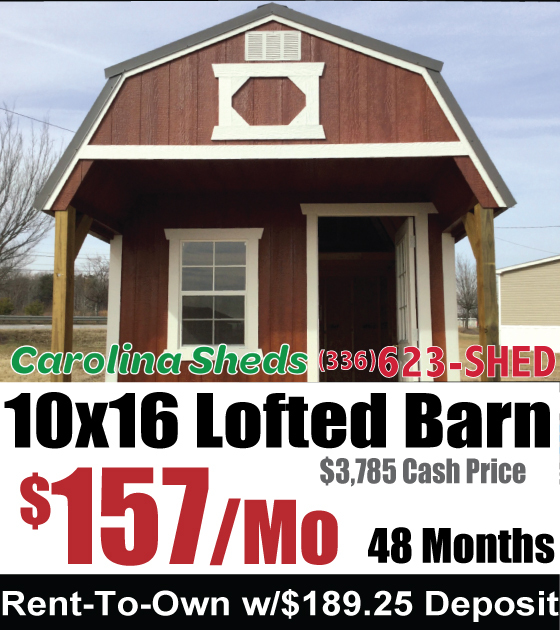 Copyright © - All rights reserved.